The Brotherhood Without Banners #118. 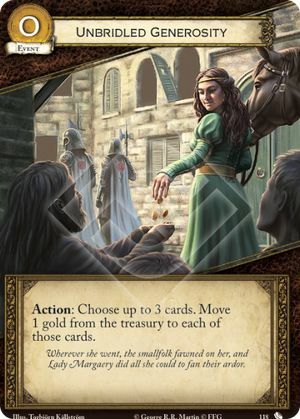 Is this card able to add gold to a bestow card over its initial limit when it is played, or is the limit listed on the bestow card absolute? The Bestow entry in the rules doesn't seem to say. Unbridled Generosity can place gold on cards with Bestow (X) over the value of X, and also on cards without Bestow at all.